The Book Garden: A list for the writing mind! I like lists. What am I saying? I love 'em. And if I'm not the one who actually has to write it, all the better. After all that leaves me more time to read. Or in this case, browse. 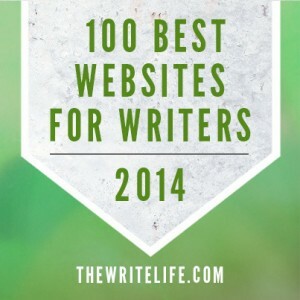 The Write Life compiled a list with a recommendation of websites that are mostly aimed at writers, but honestly, I believe that everyone who likes books will discover some interesting sites here. Categories are blogging, business and career, copywriting, creativity and craft, freelancing, literary agents, marketing, publishing, travel writing, writing advice, and writing communities. Something for everyone, so to say write. Lacking time to browse through them all? You might want to skip your afternoon nap then. I promise it's worth it. Did you discover any interesting/useful/fun websites you weren't already familiar with? If so, which ones? Definitely going to have to check this out, thanks!